The 5s Pocket Guide is designed to enhance awareness of the principles behind the 5s System and identify its impact on improving efficiency and promoting a safe working environment. 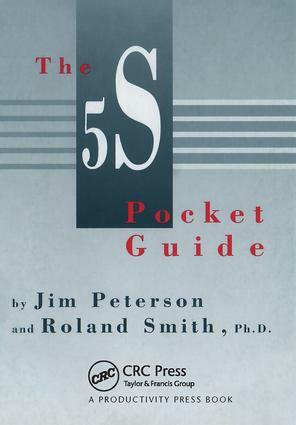 Using a condensed format, it outlines a disciplined methodology for implementing 5s, organized around a six-step method. The innumerable benefits of the 5s System include shorter cycle times, increased floor space, reduced lead times and training cycles, lowered accident rates, enhanced communication, and less inventory. By employing this handy resource, organizations can more easily build employee awareness of 5s throughout their plants, leading to dramatic improvements in productivity, safety, and profitability.